For fun on the water, jet boats take a lot of beating. They used to be the preserve of alpine river enthusiasts, but Lindsay Wright went for a blast in a trio of jets aimed squarely at the family fun market. Sea Nymph Boat's Robbie Hopper was looking at remodelling his company's 550 Charger bowrider with jet propulsion and new swept up styling when he visited the 2005 Sydney Boat Show. "There it was - right there - exactly the boat that I was going to turn the Charger into," he says. 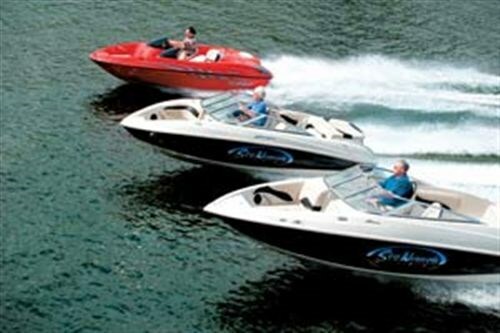 The range of natty little jet boats are built in North Dakota by a company called Sugar Sand and imported across the Tasman by a company called Australian Leisure Marine. Within days, Hopper had struck a deal to import the boats to New Zealand, rebranded as Sea Nymph Jets. The Sugar Sand/Sea Nymph range covers the gamut of whatever you want to do in a jet boat... except bounce off rocks in a fast-flowing mountain river. 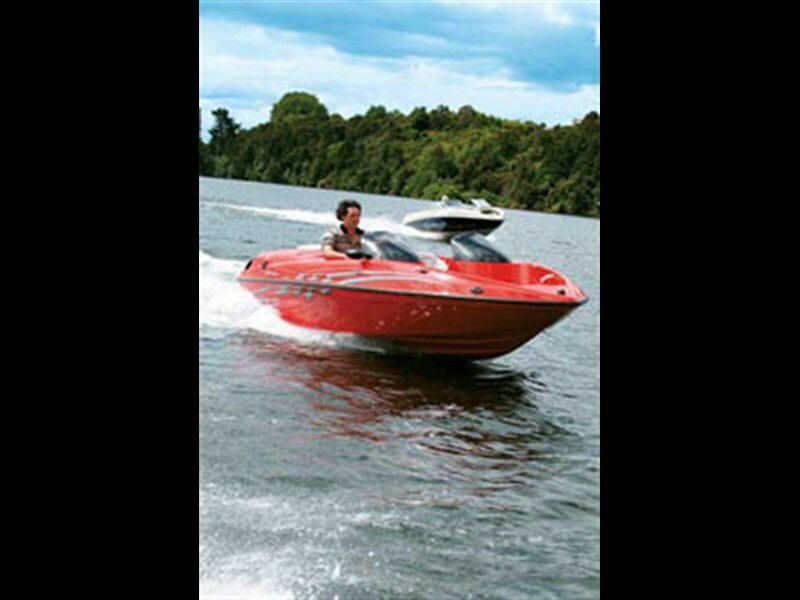 The boats are designed for the beach and lake use with reverse sheer, droopy nose and moulded foot step for ease of access on and off the sand. The sports car of the series is the bright red Sea Nymph Tango powered by a lightweight two stroke Mercury sportjet, using the powerhead from Mercury's 2.5-litre V6 EFI outboard bolted to the jet unit. The next boat up the line; the Charger 1800 Fun and Fish shares the same drive train but is a bit more sedate with more beam and almost one and a half times as heavy as the Tango. Using the automobile analogy this would be the sports saloon. The ultimate boat in Sea Nymph's jet range is the Oasis which has a 250hp three litre V6 Mercury Optimax spinning the sportjet unit, but in a beamier, more sedate package. Hopper rolled all three down the ramp at Lake Karapiro for the test and suggested a ride in the Oasis first. 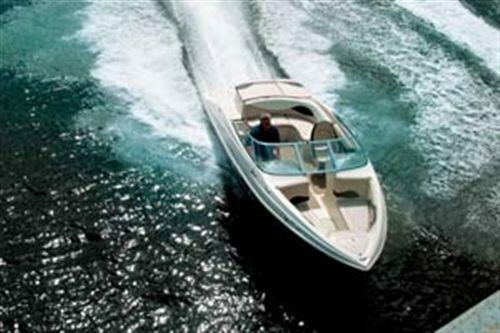 This boat is aimed at the family market with generous beam for stability, good seating and hand holds everywhere. Depending who's on the helm, handily placed grips are a necessity in jet boating. The Oasis progressed at speed down the lake in a series of pirouettes and tight turns - no cavitation, no fuss. The adjustable wheel takes about half a turn from lock to lock and the one lever throttle control/reverse lever falls easily to hand. The Oasis' wide 2.59m beam makes the high speed jet boating maneouvres drama free. "They're ideal for first time boat owners - there's just forward and reverse, no gearbox and you can rip ‘em from full ahead to full astern without doing any damage... and there's no trim to worry about." "Jets are the safest family boat by far," Hopper explains. "There's no propeller to chop people up with - and if you do hit the bottom, there's no expensive prop repairs. The jet unit intakes have a spring loaded grate which springs open to let accumulations of weed or flotsam through the enclosed stainless steel jet impeller. Foldaway, walk through screens allow access to the forward seating area which optional, drop in squabs convert to one big lounger. There are lockers everywhere for gear and watertight cell phone stowage and a full length ski bin underfloor. All three of the Sea Nymph jets are equipped with bilge blowers to clear explosive petrol fumes and alarms sound if you try and start them without using the blowers first. Likewise all three are supplied with fire extinguishers, mounted in nifty moulded holders near the engine compartment. The engine hatches raise on pneumatic struts and allow access to all the Mercury componentry plus start batteries and two stroke oil tanks. Also standard on the boats are Sanyo four speaker stereo systems which are housed in watertight gloveboxes and pump out enough decibels to be heard above any water or engine noise. Top speed for the Oasis is given as 50mph (80km/h - 43.8 kts) and the handheld GPS confirmed this at full throttle on the pool table flat lake surface. All three Sea Nymph jets were impressive in their performance, leaping straight out onto the plane once a handful of throttle was applied, tracking straight (helped, no doubt, by the 20 - 21 degree deadrise) and never diving away on re-entry. The ride was good and all spray was flung well away behind the cockpit. The Sea Nymph Charger is marketed by Sugar Sand as the Mirage, but that conflicted with a local boat manufacturer of the same name, so it was changed. Performance is slightly up on the Oasis due to lighter weight and less beam. It's the all rounder of the range with family sized accommodation but still enough grunt to tow skiers and water toys - and room to fish from, though the thought of fish guts on the white naugahyde upholstery would be enough to make any owner cringe. The Tango is like its name - fast paced and fun. With the candy apple gelcoat, curved, raked and tinted windscreens the little four seater is all go. A mushroom mounted on the engine cover serves as a towing eye and well padded bucket seats are provided for the driver and passenger, supplemented by more seating further aft and in the lounging cockpit forward. All the Sea Nymph jets carry integral foam buoyancy high in their hulls so that, even filled with water, they won't capsize and the Tango's four moulding construction gives it a solid feel. Ranging from Ferrari to Cadillac, they've got the fun jet gamut covered.